In the 1930s, horrific developments in Europe ultimately swept more than 50 countries into the most destructive global conflict ever known. Coincidentally during that decade, at least 14 significant composers wrote violin concertos, many for the first time. The list includes Samuel Barber, born 100 years ago this March, Béla Bartók (his second for the instrument), Alban Berg, Ernest Bloch, Benjamin Britten, Karl Amadeus Hartmann, Paul Hindemith, Walter Piston, Sergei Prokofiev (his second), Arnold Schoenberg, Roger Sessions, Igor Stravinsky, Karol Szymanowski and William Walton. The superb violinist Gil Shaham performs seven of these works in “Concertos of the 1930s,” a project with major American and European orchestras that continues over the next year or so. Last month, he played an impressive double-header of Barber and Prokofiev with the Kansas City Symphony under its music director, Michael Stern. From Feb. 25 to 27, he reprises the Barber with the New York Philharmonic and guest conductor David Robertson. In April, Mr. Shaham performs the Barber, Prokofiev’s second, Stravinsky and Walton concertos on a five-city national tour with the St. Louis Symphony under Mr. Robertson. But Mr. Shaham, who holds dual American and Israeli citizenship, also hopes to stimulate further exploration of the 1930s “through the violin concerto lens.” Thirteen of the works were composed after Hitler became chancellor of Germany in 1933. Do any reflect the turbulent times in which they were conceived? Hartmann’s “Concerto Funèbre,” which Mr. Shaham plays with the Chicago Symphony Orchestra next October, is the only one with a stated connection. “The times explain the character of the work and the reason behind it,” Hartmann wrote. Hitler had annexed Czechoslovakia in 1938; the concerto, completed a year later, quotes Czech nationalist tunes and was originally entitled “Music of Mourning.” Alternately somber, poignantly lyrical or bristling with energy, it deserves wider hearing. 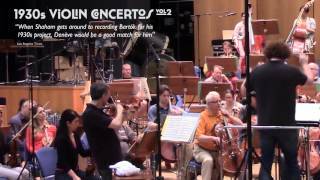 It is also theoretically possible that the events of the late 1930s left their mark on Barber’s violin concerto. He completed the first two movements and began the finale in Europe in 1939. But the winds of war led him to return to his native America. Germany invaded Poland before his ship reached New York. Interestingly, the first two movements of the piece are in his characteristic melodic style. The agitated, technically daunting final movement employs more dissonance, heralding a second phase in his compositional output. 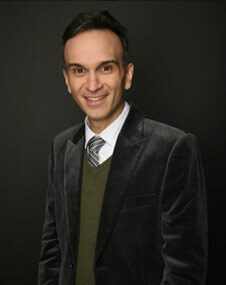 Mr. Shaham believes the abrupt transition to the finale was intended to shock. And even the tender longing of the first movement builds to a soaring cadenza that he likens to “a primal scream.” “The violin goes up three octaves of C-sharps,” he says, “and ends at the top of the fingerboard against this very low E-flat [in the cellos and bass]. You have these extremes of register, and suddenly the music freezes. . . . It’s an incredible effect . . . like in a movie, when suddenly the frame stops and you go into super slow motion.” That cadenza was one of many memorable moments in the violinist’s moving performance of the Barber in Kansas City. His tone glowed, and he communicated the concerto’s shifting emotions with the authenticity of a Method actor. It would be foolish to read too much extramusical content into these pieces; all composers are primarily concerned with abstract issues of form, structure, harmony and the like. Yet many of these concertos convey an underlying unease. At the least, the impact of Hitler’s policies (or in Prokofiev’s case, those of Stalin) runs like a leitmotif through the circumstances of their composition. Those composers who were Jewish were affected by anti-Semitic laws depriving them of jobs and citizenship. Music was banned as “degenerate” on “racial” or aesthetic grounds. The threat of deportation to concentration camps loomed larger as the decade progressed. Schoenberg, one of Germany’s leading composers when Hitler came to power, was dismissed from the Berlin Academy. He had become a Protestant in 1898 but reconverted to Judaism in 1933 after fleeing his native country. His violin concerto was the first major work completed after he settled in Los Angeles. Berg accepted a commission to write his violin concerto (1935) out of economic hardship. (The idea of dedicating it to the recently deceased Manon Gropius, daughter of the famous architect, came later.) Under the Nazis, performances of his music in Germany and Austria had become increasingly rare. Bartók, concerned about the possibility of Nazi occupation, sent his manuscripts out of Hungary for safekeeping in 1938, the year he completed his second violin concerto. An outspoken anti-Fascist, he left Hungary in 1940. 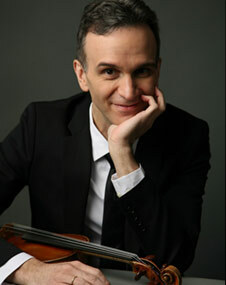 Congenial and often self-effacing, Mr. Shaham came to international attention at the age of 18, when his performance with the London Symphony Orchestra as a last-minute substitute for superstar Itzhak Perlman received enthusiastic reviews. He has had a major international career since then. The violinist enjoyed a recording contract with the prestigious Deutsche Grammophon for more than a decade; his latest releases are on his own Canary Classics label. He has won a Grammy Award and received several nominations. In 1994, he generated nationwide attention, pro and con, with a promotional video that juxtaposed scenes of the violinist playing the “Winter” segment of Vivaldi’s “Four Seasons” with footage from a New York snowstorm. (Google YouTube, Gil Shaham and Four Seasons.) Aired on the Weather Channel, it broadened his audience. He and his violinist wife, Adele Anthony, live in Manhattan with their two children. 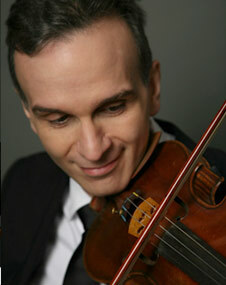 In June, Mr. Shaham returns to the Berg concerto, which he performed in 2009. Next season, he adds Bartók’s second to his “Concertos of the 1930s” project, along with the Hartmann. Looking further ahead, he hopes to perform the Britten and the Hindemith as well. 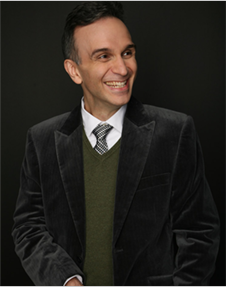 Perhaps the greatest value of Mr. Shaham’s undertaking is that he will bring increased attention to the lesser-known compositions in the group.